Lime, ofo, Spin and Jump weigh in on how their companies are combating dockless woes through enforcement and education. The streets of many U.S. cities are now sprinkled with two-wheeled wonders that weren't present a year ago: dockless shared bikes. The brightly-colored red, orange, yellow and neon green bikes that remain untethered to a fixed station, waiting for a user to unlock them with an app, have taken the U.S. by storm. "In less than 10 months, the landscape has completely changed,” said Jack Song, a spokesperson for LimeBike, a leading dockless bike-sharing platform. Dock-free bike-shares caught on immediately upon being introduced domestically because of the easy, customer-friendly business model. "There’s a lot of convenience with the product, being able to bring customers door-to-door and not having to look for a station where you can dock the bikes," said Kyle Rowe, head of government partnerships for Spin. But, there's a catch. "There's a lot of opportunity, but with that comes the responsibility of parking the bike correctly," Rowe said. That's where some customers have been falling short and causing dock-free operators to take heat. Dockless bike “littering” — when customers improperly abandon their bikes — has prompted a handful of social media accounts that highlight certain customers’ bad behaviors. Bikes are pictured lying on their sides, splayed across sidewalks, poking out of waterways and even hanging from trees. Dockless bike-share service providers in no way advocate irresponsible parking. In fact, they work to prevent it, primarily through educational campaigns. "Education is a big piece of it," said Taylor Bennett, ofo's head of communications for North America. "We know how important it is to work with local communities to educate them on this new model, how it works, best practices for parking and the benefits to cities and riders." Educational campaigns mainly occur through communication with customers or through the businesses’ apps. Some of the apps clearly show users the places on a map that their city deems appropriate for bike parking. ofo, for example, uses geofencing technology to map out and encourage users to park in preferred zones. "Riders who park here will be rewarded via their ofo score," Bennett said, which riders can accumulate to redeem various discounts. Other providers use the bikes' tracking technology to pick out users who chronically park bikes inappropriately. For example, Spin recently added an app prompt before users unlock a bike, asking them to give a thumbs-up or thumbs-down for how well the bike had been parked when they found it. 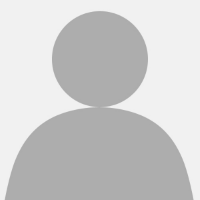 "That rating is applied to the previous trip and previous user. We can identify consistent bad behavior from users, or bad behavior in specific geographies that might be a more challenging place to park a bike," Rowe said. Spin employees can contact an offender with reminders of how to appropriately park dock-free bikes. Although the company could decide to penalize repeat litterers, "We don't really want to do that because the person decided to ride a bike for their trip, and that’s something that should be encouraged," Rowe said. LimeBike's street teams respond to locations where bikes' sensors indicate they are on their sides, likely signaling improper parking. "We do our maintenance through patrols and... [employees] can correct the situation. Maybe even talk to the folks doing it and educate them on how to ride and park the bikes," Song said. LimeBike also took its educational campaign to the next level this year by distributing a video spoof on The Matrix, which demonstrates correct and incorrect bike parking. Dock-free bike-share companies like Zagster and e-bike provider Jump get around much of the littering criticism because they have built-in locks that secure the bikes to fixed objects. Customers still don't have to track down and dock the bikes in a traditional station, but they prevent bike tipping and littering by securing the bike to something nearby. "We have much better user accountability and parking compliance. Less than 0.5% of our trips result in some kind of a parking complaint or notification," said Jump CEO and Founder Ryan Rzepecki. Despite the businesses' efforts to curb bike littering, some city leaders and residents are hesitant to embrace the dockless trend. St. Paul, MN and Coronado, CA both recently chose to forego adding dockless — at least for now — in part because of the potential for clutter. The outcry against dockless bike littering has, perhaps, been loudest in Dallas, where City Manager T.C. Broadnax sent warning letters to dockless providers, essentially demanding that they clean up their mess or get out of the city. 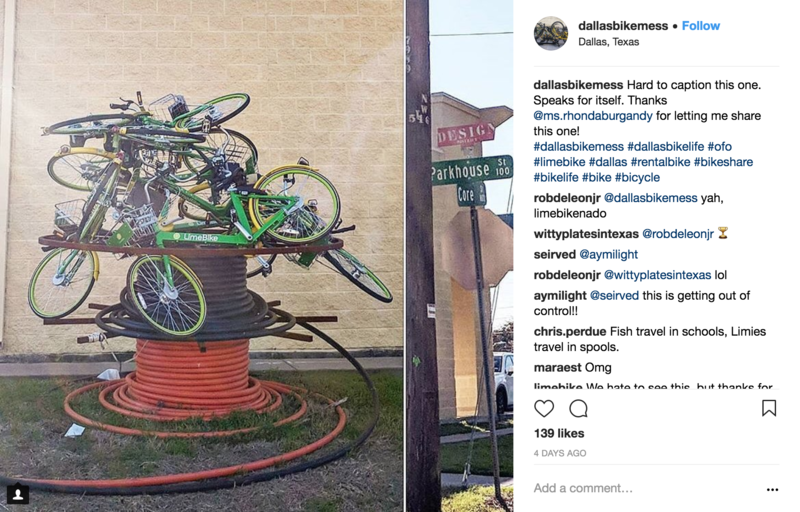 But multiple providers caution that the Dallas market has unique conditions and was untraditional in its approach to adding a dockless bike-share program, which could exacerbate littering conditions there compared to other cities. "Dallas actually did not have any regulations in the beginning," Song said. "I believe Dallas did not have a cap" on the number of bikes that providers could infuse into the city. Other cities, like Washington, DC, cap the initial number of permitted bikes for a six-month pilot period and re-evaluate adding more at the end of the trial. Seattle increased the number of allowed bikes incrementally, "with 500 bikes the first month, 1,000 the second month, 2,000 bikes the third month, then... beyond that to 4,000. Since then they’re watching the data to see if there’s a need to increase, rather than just saying 'open market, go to your heart’s content,'" Rowe said. Service providers have more time to educate customers on compliance when bikes are added "in a controlled manner rather than everyone having to learn how to manage these bikes with 10,000 of them in the first couple weeks of being on the ground," Rowe said. That prevents not only littering, but also instant market over-saturation that can lead to resource under-utilization and potentially a swift drop-off in customer interest and ridership. "I think [littering] is a challenge, I don't think it is a problem." "Dallas had the opportunity to control it and choose not to," Rowe said. "Because of that, they now they have fleets that are far beyond any other city's bike-share total. For a city that doesn't have the quickest adoption of biking [and] doesn’t have the strongest bike commute loadshare to begin with, the public's consumption of bikes will be more of a learning curve." Nearly all of the dock-free providers believe that concern about bike littering is overblown and that a few bad players have tarnished the image of the majority of rule-abiding customers. "I think [littering] is a challenge, I don't think it is a problem," Song said. The businesses report that other than Dallas, few municipal leaders have contacted them with littering complaints. In fact, the service providers generally prefer to build relationships and collaborate with cities on best practices for implementing and sustaining successful dockless bike-share programs. "The cities are also collaborating with dock-free bike-share companies, asking what they can do... The best way is through collaboration," Song said. The businesses offer reminders that the dockless industry is still in its very early stages in the U.S. — not even one year old — so they're still evolving, and so is customer knowledge and compliance. "I think we’re just in the early days of a public policy shift," Rzepecki said. "Previously, bike-share was done through RFPs and usually an exclusive public-private partnership and contract. This move toward multiple players in the market really started at the beginning of 2017. It takes government time to adjust and adopt a model... These are positive changes, but there’s a little bit of a learning curve and growing pains."